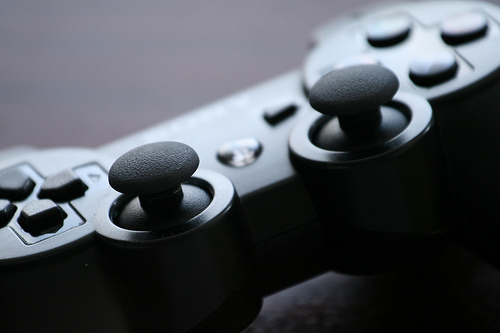 Electronics Costs > How Much Does a Playstation 3 Cost? How Much Does a Playstation 3 Cost? The Sony Playstation 3, better known as the PS3, is not simply a gaming unit. It has many other functions and perks that make it well worth the money. The PlayStation 3 cost will vary according to the memory size. A PS3 with 12 GB of memory will cost about $170, whereas a PS3 with 500 GB memory will cost about the same as well. Seeing this is an outdated console, most, regardless of the memory, will cost about $170 or so as of 2016. Retailers, such as Gamestop, often include a PlayStation 3 with other games. For example, a “Blast From the Past” bundle, which includes the console and Call of Duty game, retails for $110. When the console was first released, the 20 GB model retailed for $499 and the 60 GB model retailed for $599. Sony offers two models: the Slim and Super Slim model. When you purchase a PS3 new, all the hardware, cords, plugs and user’s manual should be included. However, since newer models are extremely hard to find, purchasing used will come with its own inclusions. Be sure to talk with your seller to see what’s going to be included. A PS3 may include one controller. If a bundle is purchased, the game will come included with the purchase as well. The box will indicate exactly what’s going to come equipped with the purchase, so it’s best to read before making a purchase. The main extra cost of a PS3 is the movies and games. An average game for the PS3 will cost about $20 while the average blu-ray movie will cost $20-$25. Games can also be downloaded via the PlayStation Network. The cost of these downloadable games will greatly vary depending on the game that is being downloaded. Most of the time, the downloadable games will be just as cheap the hard-copy games. A blu-ray remote for your PS3 will cost about $20. While optional, it’s ideal for those that want to use their Playstation as a primary DVD player. There are many other accessories which can be purchased for a PS3, such as chargers, headsets, skins and keypads. These are all optional. HDMI cables are highly recommended for those that have a high definition TV. This will greatly enhance the picture quality. HDMI cables will start at $5 per cable and can go up from there. Subscribing to the PlayStation Network can be an additional cost. A refurbished PS3 can be purchased through stores such as Best Buy or through websites such as Amazon. By purchasing a model that is a few years old, you can save up to 20 to 50 percent off your purchase. If going this route, it’s best to know the return policy. Consider looking at the capacity of the hard drive. If you’re a casual gamer that doesn’t play a lot, it’s probably ideal to get a lower capacity based hard drive, seeing the majority of the hard drive won’t be used. Most retailers and sellers will include everything with their console. If you want a game, controller and all the necessary accessories, consider finding a package that includes all of this for a low price.